about why they linger in a box in a drawer. World War Two ‘For Home and Country’. Whilst badge and medals mark honour with pride. they can be found in a box in a drawer. when I leave through that door? in a box in a drawer. Categories: Writings & Witterings | Tags: Arts, In A Box In A Drawer, Literature, poetry, Polly Stretton | Permalink. Thanks for another lovely read. I have an old trunk filled with memories. Not sure why I keep some of the stuff, but whenever I go through it, I feel like I am in a different time and place. I have a bunch of my grandmother’s evening bags from the 20s. Such an elegant era. 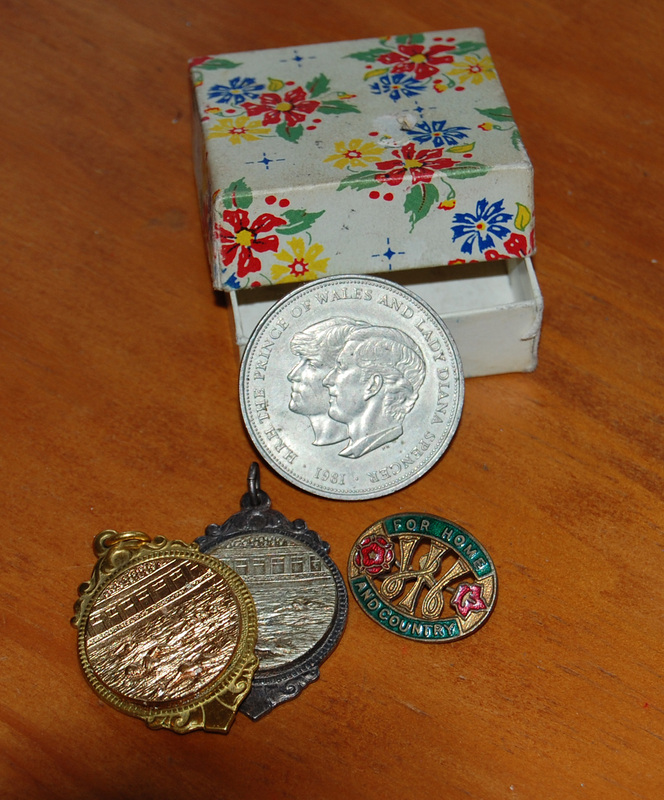 I have a box of ‘special things’ – trouble is I don’t recall why I kept a lot of them. This is very evocative, Polly. Sums up beautifully an experience most of us share. Stuff saved that we know one day someone will get rid of. The repetition of ‘a box in a drawer’ captures the mood of nostalgia, poignancy, love, but somehow the pointlessness of it, very effectively. Thank you for your thoughts and kind comments. My family comes from a rich tradition of handing down nothing of personal value. It is sad in some ways; having nothing but memories, especially as I get older and they fade. However, I suppose I have been spared a certain burden. Lovely to hear from you and thank you do much for your kind comments. This is very beautiful Polly.